Your hair is your crowning glory, but can be the source of major headaches and problems, when your hair and scalp is not working properly and you are left with limp, dead and lifeless hair. This blend is not cheap, yet has proven to be effective and extremely popular with people that take their hair seriously. Although people spend millions of dollars on hair conditioners and specialist shampoos, many people, as well as tricologists, are returning to more a more natural way of boosting their hair, and paying special attention to their scalp as well, by using a treatment oil for their hair. The heath of your hair is determined by a couple of factors, such as nutrition, environmental stressors, level of care, your general health as well as the health of your scalp and the products used on your hair. We are not trying to enter into competition with large commercial shampoo and hair care companies, but offer this treatment oil as clients have had very positive results using it. This oil is not touted as a cure-all remedy for baldness, seborrhea, poor hair growth, poor hair quality, dandruff, hair loss, psoriasis or any other medical condition that you may be suffering from, but our clients are very satisfied with the results. The selection of essential oils were made to cover the greatest range of problems that people normally have with their hair - from thin, dry fly-away hair, oily greasy hair that mockingly re-appear only hours after being washed, dandruff that doesn't want to leave you or a simple un-satisfaction with the quality of your hair in general. Our Hair and Scalp blend was developed over years with the help of our clients, that gave us feedback on results. 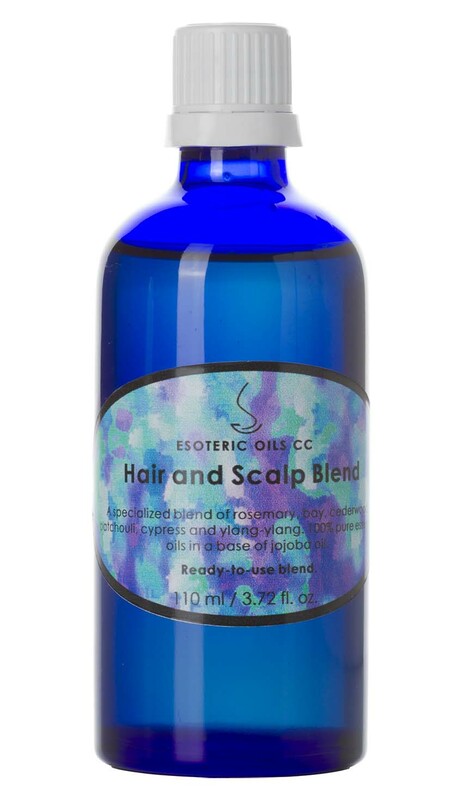 It was always a blend made with essential oils known (anecdotal evidence) to help with hair growth, the health of the scalp and to fight hair loss and premature balding. We have however changed our formula to include the formula used in a randomized, double-blind, controlled trial of seven months' duration, with follow-up at three and seven months done at the Department of Dermatology, Aberdeen Royal Infirmary, Foresterhill, Scotland. The eighty-six participants were diagnosed with having alopecia areata (hair loss). The authors, researchers and institution that conducted this clinical trial on fighting hair loss are in no way involved with Esoteric Oils. We simply used the formula employed in the clinical trial as a base and added our own tried and tested oils. The eighty-six patients were randomly divided into two groups, with the active group (getting the blend under investigation) massaged essential oils (thyme, rosemary, lavender, and cedarwood) in a mixture of carrier oils (jojoba and grapeseed) into their scalp daily. The control group only received the carrier oils for their daily scalp massage. See directions below. After the trial it was concluded that the blend in question – rosemary, thyme, lavender, cedarwood, jojoba and grape seed - showed that aromatherapy to be a safe and effective treatment for alopecia areata. We used this clinically proven blend and still added extra oils to boost the formula. 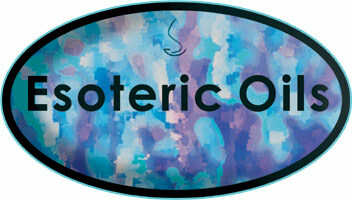 To view more information on each oil included in this blend, please click the hyperlinks below. Although we refer to "essential oils" as oils, they are not oily in the normal sense of the word, since they are volatile compounds, and jojoba oil is also not really an oil, but in actual fact a wax ester, and does not have an oily or greasy consistency. The grape seed oil is also a light easily-absorbed oil. For the blend to be the most effective, we recommend that the oil be massaged daily into the scalp for a minimum of two minutes. To help the oils be more effective absorbed, a warm towel may be wrapped around the head after applying the oil – this is a further recommendation, but not a requirement. With this in mind, you are not going to have an oily or greasy product, but a highly nourishing and light mixture containing the active essential oils with their therapeutic properties to help your hair and scalp. Pour a small amount of oil - about a half a teaspoon - into a saucer and dip the tips of your fingers into the oil. Massage the scalp by firmly placing your fingers on a dry scalp, and moving the scalp around - do not cause friction on the scalp, as this may damage the scalp and hair. You will gently massage the entire scalp, by dipping your finger tips into the teaspoon of "Hair and Scalp Blend" and then massaging the scalp. It is normally best to start massaging at your neck, working upwards and over the entire scalp until you finish off at your temples. Ensure that the entire scalp is treated. When done correctly your hair will not be oily, and you will be able to go to sleep like this after waiting 30 minutes. Should you however need to wash your hair after the treatment, ensure that the blend has been on your scalp for at least 45 minutes. When washing your hair after the treatment, use a mild shampoo, like a baby shampoo, and work a small amount into your scalp and hair BEFORE wetting your hair. This will emulsify any residue and you will be left with clean bouncy hair. A few drops of this blend can also be added to your regular shampoo or conditioner to give it an added boost.